This south-facing house is set in its own grounds in a semi-rural situation on the outskirts of Guildford. 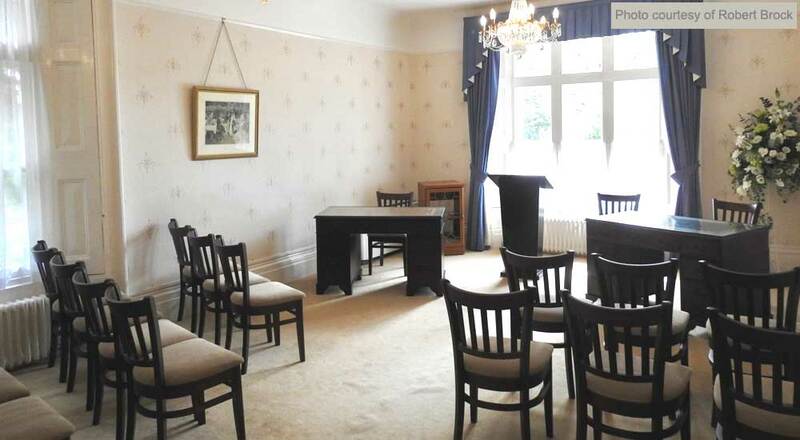 The interior of the house still retains some of its original features, including several fireplaces and offers a very desirable ceremony suite. Parking: There is a car park for guests and a further car parking is available on Saturdays at the front of the house. 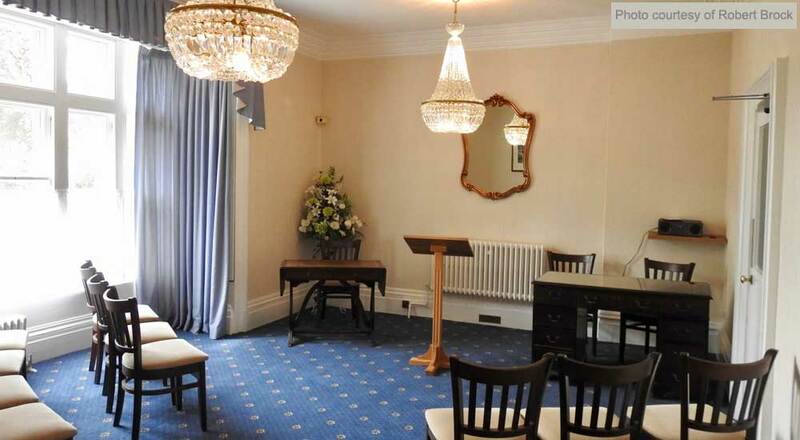 Large room: The large ceremony room is furnished in blue and cream Regency style, with beautiful candle and pendant-style chandeliers. 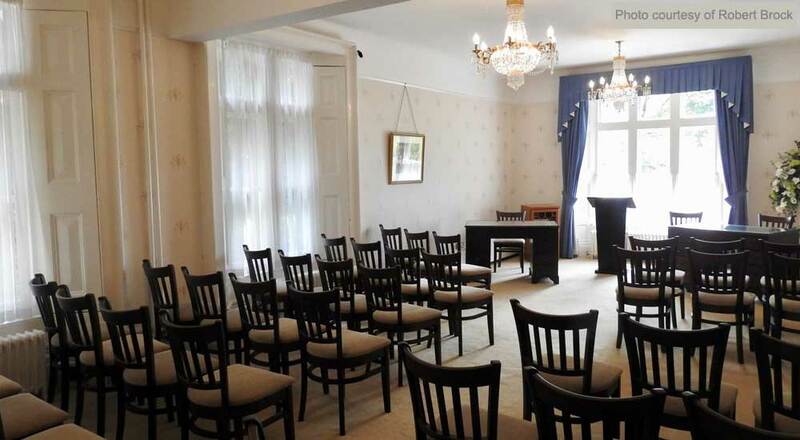 Small room: The small ceremony room is decorated in the same style as the main ceremony room. 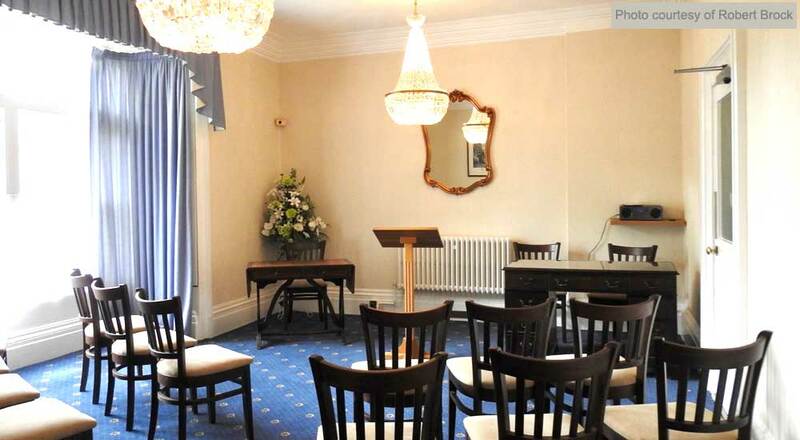 Ground floor: The ground floor has a general reception area and a waiting area for guests. Garden: The garden has a rose arbour, a terrace and stone garden furniture. Facilities for people with disabilities are on the ground floor. Steps descend to the car park for guests. Bookings are taken strictly on a first come, first served basis. 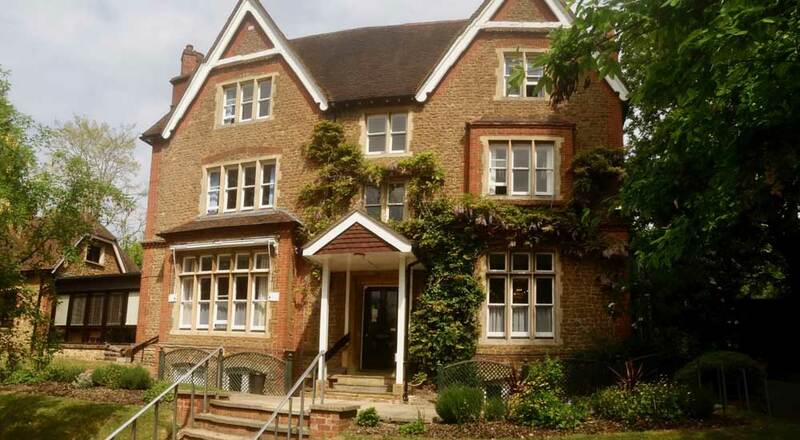 It is one of eight houses built in the early 1860's by Richard Shepard, an insurance broker, on land purchased from William Elkins, a brewer and former three times Mayor of Guildford. It is a fine example of elegant mid-Victorian architecture, complete with gables and wisteria. A large family home, former tenants have included a Colonel and an Assistant Inspector General of the Royal Irish Constabulary. 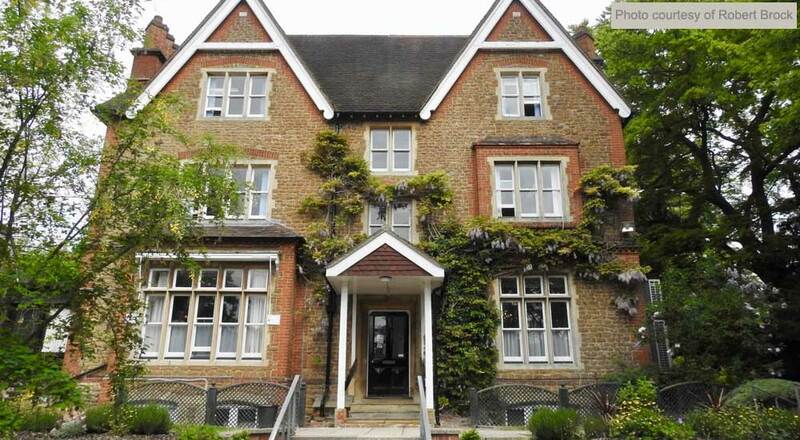 Surrey County Council acquired Artington House from Miss Marion Shepard on 14 March 1934 for the current use of the Registration Service.